If you’ve spent even a little bit of time with a photographer, you know that their hobby tends to run on the expensive side. Lenses, lighting kits, computer software and even new cameras are all regular and expensive purchases. Even if you have the hundreds of dollars some of these items cost, knowing the specific product to get for the photographer in your life is tricky. For example, with so many different types of accessories for cameras, it’s easy to buy an incompatible one, thus taking your gift from a hero down to a zero. However, you can alleviate the agonizing stress of choosing the perfect gift thanks to this list of practical gifts for photographers. Regardless of what camera he or she uses, any of these gifts are sure to excite any photographer in your life. Products like cufflinks, organizers and even toilet dispensers let your loved one display their passion for the hobby in creative ways. 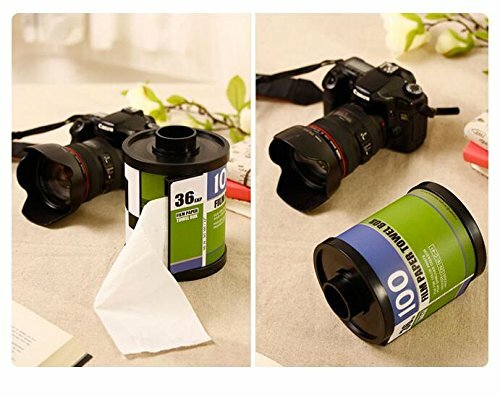 The HEYFAIR Novelty Camera Roll Toilet Paper Cover Holder Film Canister Tissue Dispenser Box replaces your boring old tissue box with one that looks like an old roll of film. However, this canister isn’t just for holding tissues, as you can also use it as a toilet paper dispenser as well. This product can store one roll of paper and dispenses it from two areas: a hole at the bottom for toilet paper and one at the top for tissues. 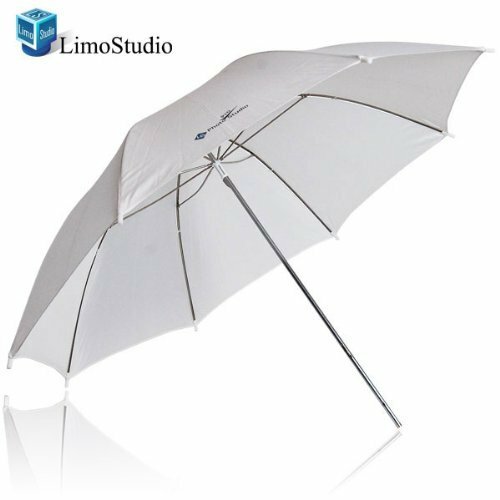 The LimoStudio 33″ White Transparent Photo Umbrella Studio Reflector is the perfect way to reflect, diffuse and spread light evenly on any surface. 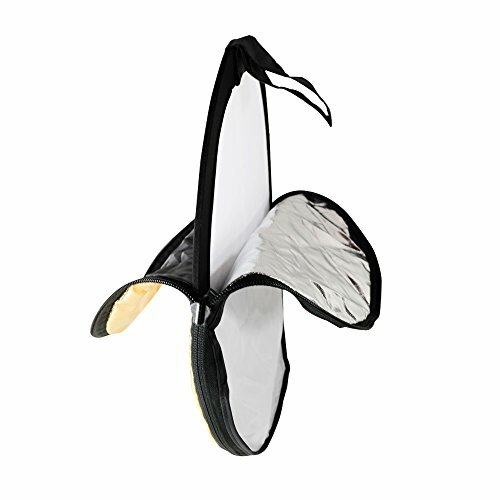 This umbrella has a 33-inch diameter and uses a custom-made fabric to eliminate any glare in your photographs. The umbrella is also lightweight, making it easy to transport to and from a photo shoot. While the iPhone has an excellent camera, it only offers one lens. The Apexel 4 in 1 Camera Phone Lens Kit 180 Degree Fisheye solves this problem by giving you four different lenses to use on your iPhone’s camera. This kit includes a wide-angle lens, a fisheye lens and a macro lens, letting you take pictures that you never dreamed were possible with just the standard iPhone camera. This add-on is compatible with devices as old as the iPhone 4 and also works on tablets such as the iPad. 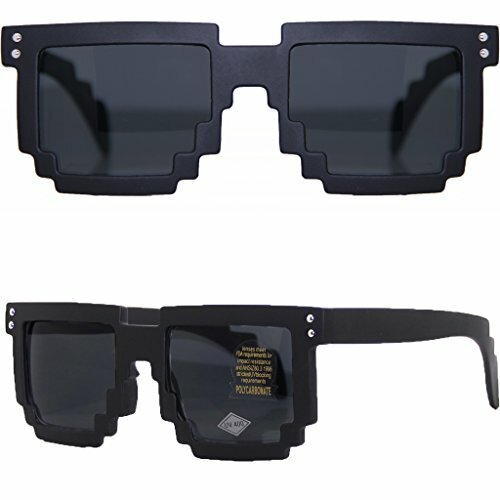 The MJ Boutique’s 8-bit Matte Black Pixelated Sunglasses are an ideal gift for photographers who spend a lot of time outdoors. These sunglasses are shatter-resistant and provide 100 percent UV protection for your eyes. As a bonus, you’ll also receive a free pouch that you can use to store these sunglasses when not in use. What better way to enjoy a drink during a photography shoot than with the Uniqstore Camera Lens Mug. This mug resembles a Nikon Zoom Lens. The outside of the mug is crafted in a high-quality PVC material while the inside features stainless steel. The Uniqstore Camera Lens Mug prides itself on its insulation, ensuring that your drink stays warm even hours into a shoot. With digital photography on the rise, USB flash memory drives are a photographer’s best friend. 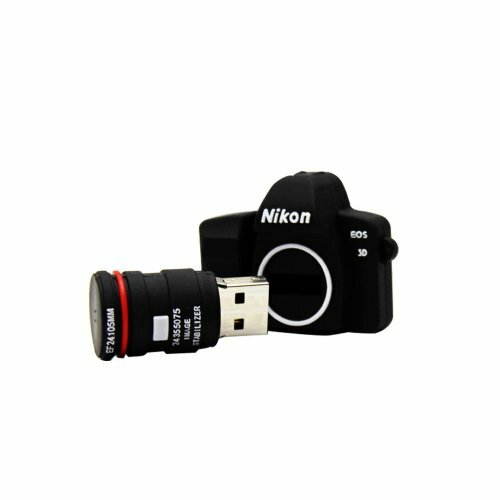 With the Electronic4sale 8GB Nikon Camera Bag Shaped USB Flash Memory Drive, your USB flash memory drive also doubles as another camera. This USB drive is in the shape of a cartoon camera, with the lens acting as the USB stick. This 8GB flash drive works with multiple operating systems, including Windows 8, Mac 9.0 and Linux. 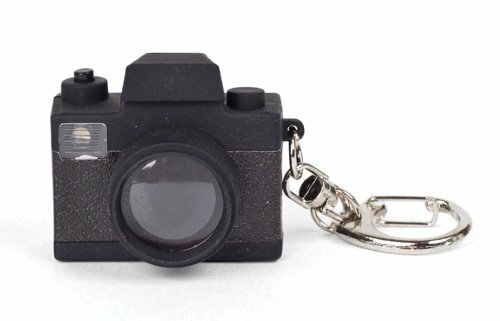 The Kikkerland KRL15TC Camera LED Keychain is a fun novelty gift that will bring a smile to any photographer’s face. 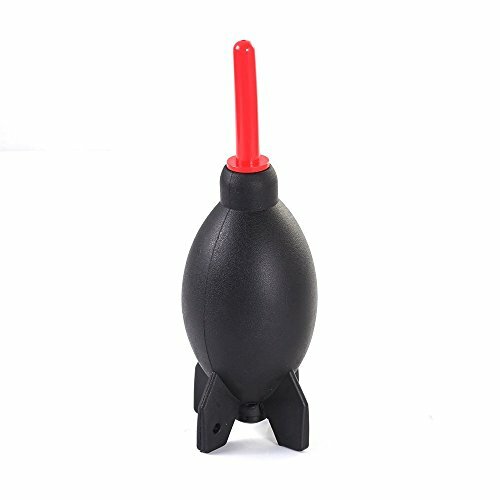 Press the button on the top of this keychain to activate a shutter sound and a bright LED light. The keychain includes batteries, ensuring that the recipient of this gift can enjoy it immediately. The Giottos AA1900 Rocket Air Blaster lets you quickly clean dust and debris off the front of any camera lens. Just aim the Giottos AA1900 Rocket Air Blaster at any lens and squeeze to send a puff of air in that direction. The one-way filter in the Giottos AA1900 Rocket Air Blaster ensures that dust and debris cannot enter the device. For a photographer, you’ll likely find yourself carrying seven or more accessories to any given photo shoot. Save some space with the Pocket Reflector, a tool so tiny you can fit it in your pocket next to your phone. The Pocket Reflector allows you to reflect light onto your subject, illuminating them and bringing small details to life. The Pocket Reflector has two different sides, with the white side reflecting soft natural light and the silver side reflecting a strong burst of pure light. One area where photographers typically encounter difficulties is with underwater environments. 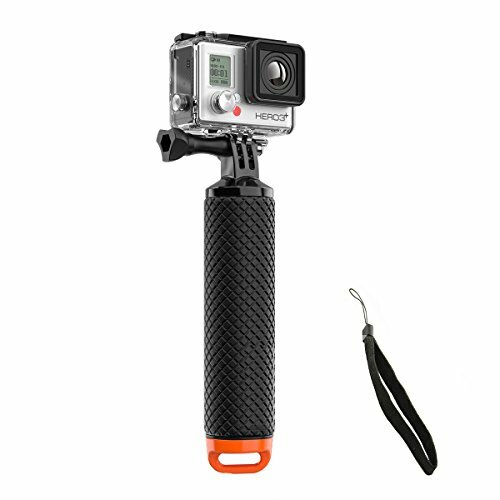 With the Mystery Waterproof GoPro Floating Hand Tripod Mount, those difficulties are a thing of the past. This waterproof mount tilts 180 degrees and lets you get shots above and below the water. The Mystery Waterproof GoPro Floating Hand Tripod Mount is lightweight and is tiny; you’ll have no problem fitting it directly into your pocket. For a professional photographer, this bottle mount might be a bit redundant. But for the amateur, or those that are, for example, out for a hike with the camera and don’t want to take bulky items such as tripods, this will come in handy. It features 6/5/4 camera cap adapter holder tools. With it, you can set your camera and take pictures hands free and with a steady base. What’s more, this bottle is versatile so you can carry water in it as you go on your outdoor adventure whether for photography or otherwise. You really do need to have water in the bottle or the mount will tip under the weight of a camera. The bottle is small, highly portable and stowing it in your backpack is easy. 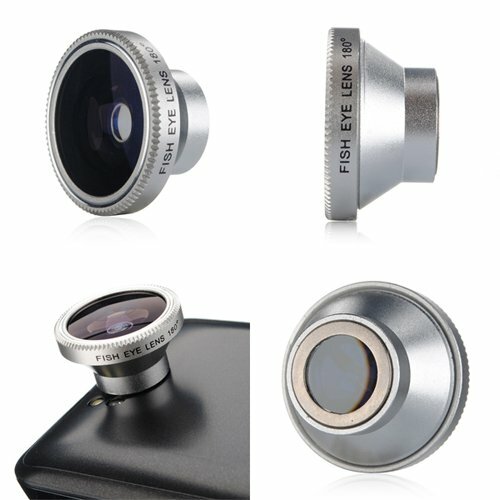 It also has a round base that enhances its stability when holding the camera. 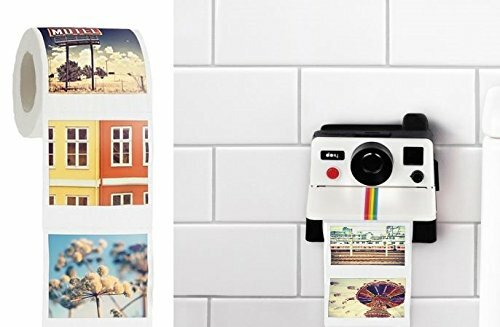 The Polaroll Polaroid Camera Shaped Toilet Paper Roll Holder With Color Refill is also a toilet paper dispenser, though this product looks like a camera instead of the film. The toilet paper dispenses from the slot where the film would normally dispense from in a real Polaroid camera. As a bonus, you’ll also receive a free roll of toilet paper with color photographs imprinted on it. 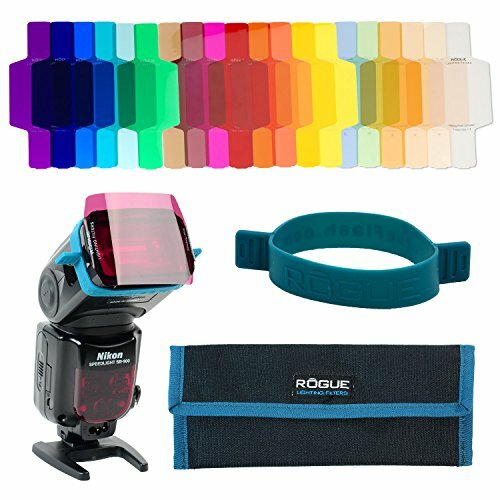 Add a splash of color to any photo with the ExpoImaging ROGUEGELS-U Lighting Kit. This kit includes 20 different filters, a gel-band to attach the filters to any device and a padded storage pouch with dividers for easy transport. The dividers even have helpful tips on them to ensure you get the best possible shots when using the filters. One of the biggest issues that photographers have when leaving their native country is that the plugs are entirely different in various parts of the world. For example, the plugs and voltages between the United States and Europe are completely different, and plugging in the wrong power cord to an outlet can fry your device or even start a fire. 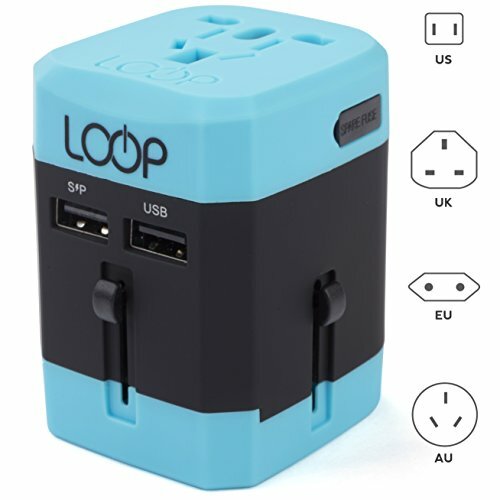 The LOOP World Travel Adapter solves this problem by providing a universal 11-pin socket that works with any outlet in the United States, United Kingdom, Australia and Europe. The LOOP World Travel Adapter even includes USB outlets as well. Taking photographs of children is one of the biggest challenges a photographer will face. Whether it’s not sitting still or refusing to smile, you’ll have to juggle between appeasing the child and working your camera. With the Shutter Huggers Giraffe, you can concentrate solely on taking a beautiful picture. 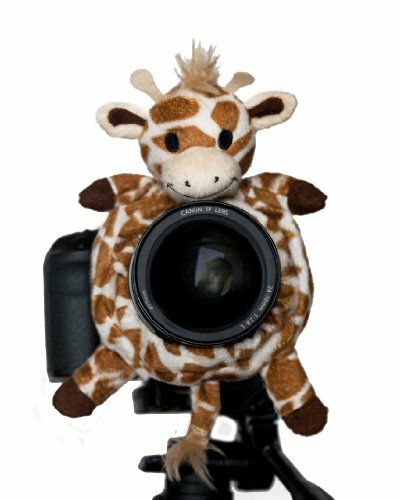 This stuffed giraffe rests on the front of your camera, bringing a smile to a child’s face and giving them a focal point. Being a photographer means leaving yourself out of group shots. 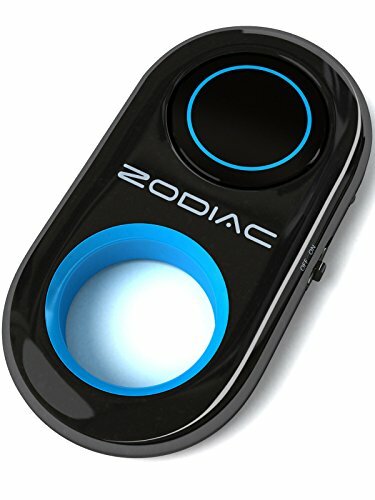 With the Zodiac Pro Bluetooth Selfie Remote Shutter, you can once again take center stage in your photos. The Bluetooth Selfie Remote Shutter works with any iOS or Android device with no additional applications required. After connecting the remote shutter with your smartphone or tablet, just press the button to take a shot. The Zodiac Pro Shutter has a range of up to 30 feet, and also comes with a mini tabletop tripod making it perfect for large group shots such as a wedding party. A photographer needs to remain flexible, which is why the JOBY GorillaPod Original is perfect for novice and expert photographers alike. This tripod uses flexible joints that allow you to set your camera up at any angle imaginable. 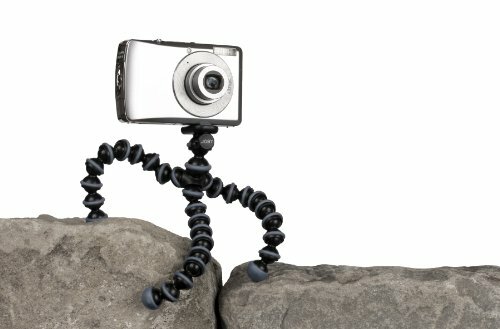 The rubberized foot grips guarantee that the JOBY GorillaPod Original will stay upright no matter what surface you place it on. Transporting an expensive DSLR is a nerve-wracking experience for any photographer. The S-ZONE Canvas DSLR SLR Camera Shoulder Bag Backpack gives you a safe and reliable way to carry your DSLR. The backpack uses a high-density cotton material to ensure it protects your gear from bumps and drops. 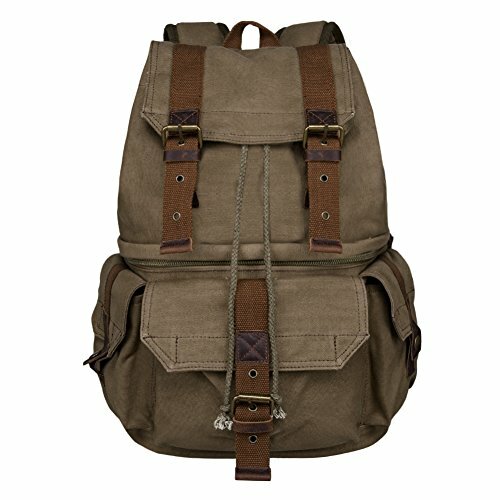 The S-ZONE Canvas DSLR SLR Camera Shoulder Bag Backpack also has plenty of extra pockets for accessories like lenses and filters. With the Camera Cookie Cutters, you can combine your two favorite loves: baking and photography. These cookie cutters come in three different shapes, each resembling a different camera. You can either fill the mold with your favorite cookie dough and place it in the oven or use each pattern as a stamp to cut shapes into your sandwiches. 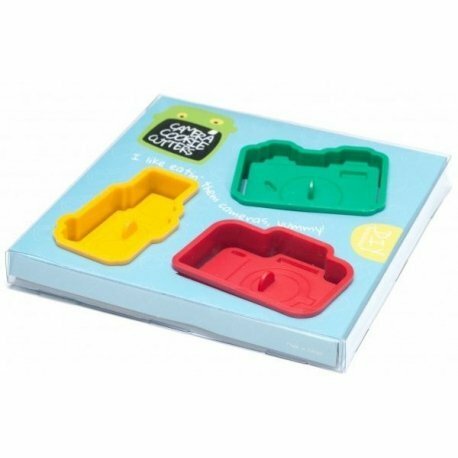 Each cookie cutter is made from BPA-free food-grade plastic to ensure your food remains safe to eat when using them. Many cameras now charge via a USB port, which means that any computer or modern television doubles as a charging station. However, many locations, such as a hotel room or a kitchen, don’t have USB ports available. In a situation like this, the FLUXMOB BOLT Portable Power Adapter is a lifesaver. This device has a standard plug on one end to plug into an outlet while the other end features a USB adapter. 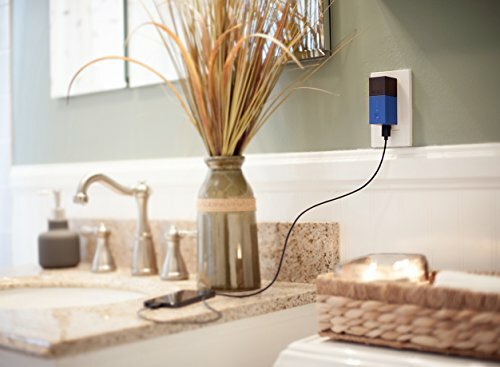 With the FLUXMOB BOLT Portable Power Adapter, any wall outlet can become a makeshift USB charging station. With various cables and connectors going into and out of your computer, you’ll quickly find yourself stuck in a tangle of wires. 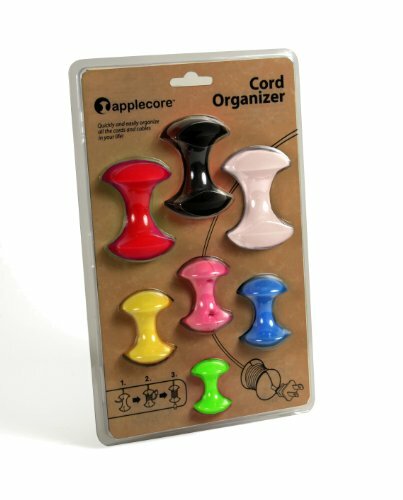 Clean up your workshop with the AppleCore Cable Organizer 7 Pack Combo. The seven provided organizers let you safely wrap your computer cables up neatly, allowing you to keep your workspace tidy. The soft plastic on these organizers ensures that they won’t damage your cables. 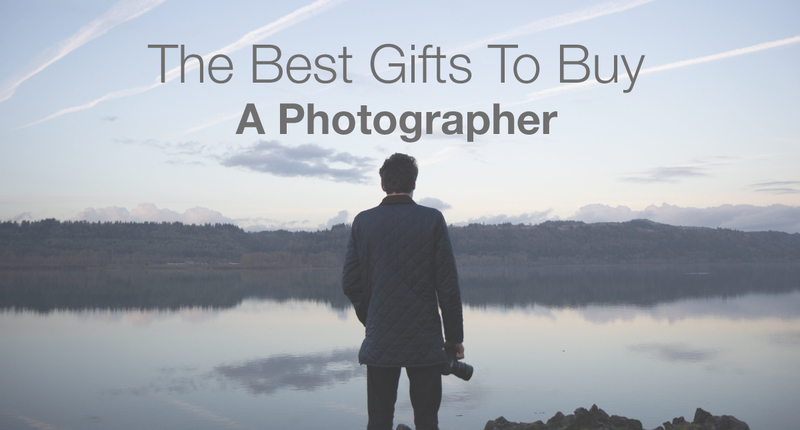 This might just be the perfect gift for a photographer. It is multifunctional so you can use it to import photos through the SD card reader or USB drive. You can also connect your keyboard to the iPad for ease of operation. This way, you are able to download photographs easily from your digital camera to you laptop, iPhone etc. 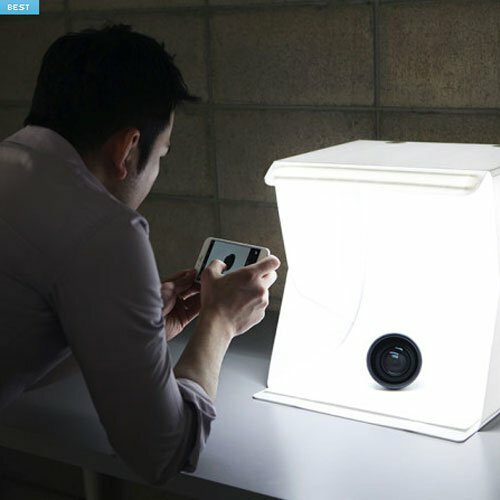 You can also use it to charge your rechargeable camera, iPad, or iPhone. It is compatible with iOS 9.2 to iOS 11.3. Furthermore, it has a lighting 4 in 1 audio camera connection kit. 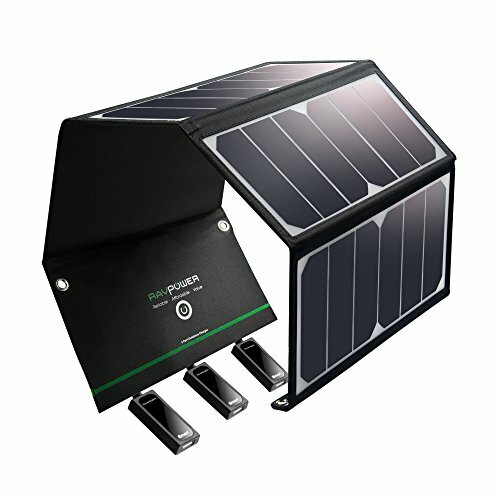 This solar panel has a dual USB Port system that will allow you to charge your iPhones, iPad, or Galaxy Edge. It also has a waterproof folder that will protect your charging devices against rain or other water sources. Its SunPower Transition Efficiency is 21.5 – 23.5 percent, and it’s a great way to utilise the power of the sun when there are no power outlets around. It is collapsible, which gives it a compact size for ease of portability. This is complemented by the fact that it is lightweight. It is fitted with iSmart technology, which is adjusted as per the energy needs of the charging device to ensure a minimum charging time. The Lomography Smartphone Film Photo Scanner is one of the best ways to share your film negatives with your friends and family on Facebook and Instagram. Even computer novices will have no problem using this device. 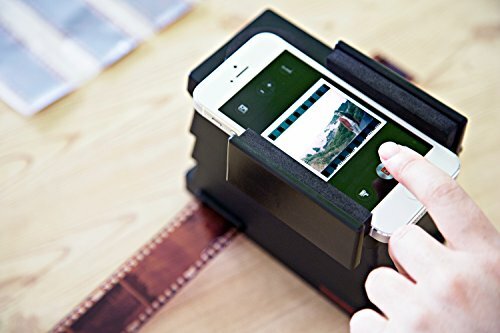 Just insert the film into the Lomography Smartphone Film Photo Scanner, turn on the device’s backlight and start snapping photos of the negative with your smartphone’s camera. This device also comes with a free application that you can use to edit your images before uploading them to social media. Taking pictures is about more than just pointing and shooting your camera at an object. You need to take into account the lighting of your subject, which is why the Foldio 2 Foldable All-in-one Mini Studio Portable Light Box is an excellent gift for photographers. This light box lets you bathe your product in light, bringing out even the tiniest details. The included app for your smartphone allows you to adjust the color temperature and brightness of the light box and even includes editing tools to customize your photos. 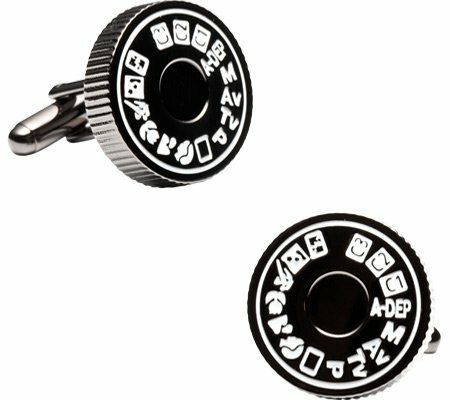 Show off your love of photography at any formal black tie event with the Cufflinks Inc Men’s Camera Mode Dial Cufflinks. These cufflinks are made from a combination of enamel and metal and resemble the dial on a camera. Each pair of Cufflinks Inc Men’s Camera Mode Dial Cufflinks also comes with a free storage box. This tube allows you to illuminate any photo session to a color temperature of 3200K-5500K, with 10 adjustable brightness levels. 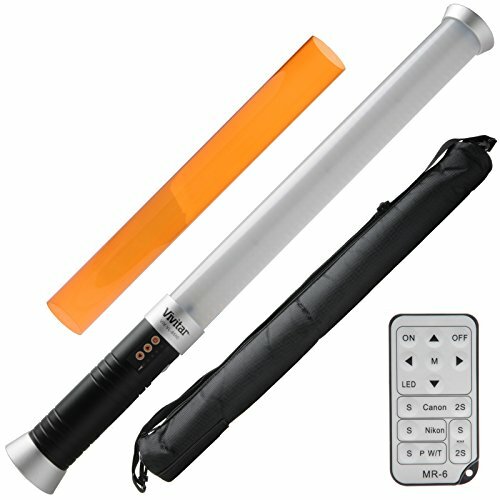 It comes with a portable, handheld video lighting wand. It also features an IR-4 Infrared remote control for convenient operation. The tube’s power supply is an F550 rechargeable battery which is always nice to have. It is an ideal gift for anyone who loves outdoor filming, video or photo shooting, and portrait photography. Sometimes, a photographer can be on their feet for quite some time, traveling for miles in search of unique features for that ‘perfect’ shot or moment. Getting such a person a quality camera strap will go a long way in helping them to carry and access their equipment fast and easily. 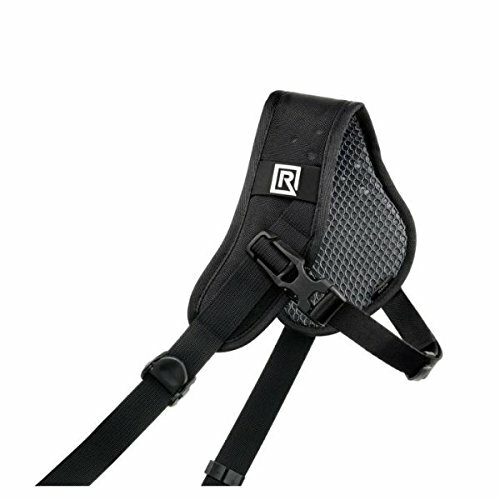 This strap is made from a moisture wicking nylon webbing to enhance comfort. The padding is 4 inches wide and its length can be adjusted to 65.7 inches. It is a great investment for the photographer that is on their feet a lot. 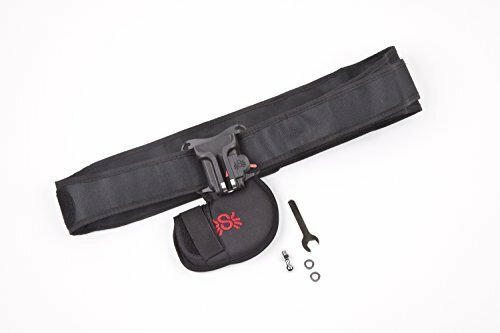 This Black Widow kit comes with a belt, holster, pad, and pin; everything you need for your photography adventure. The belt is well designed for comfort and comes with a zip-pocket that can accommodate your keys, memory card, money, and ID. It has a removable pad that you can easily add or remove depending on your preference. What’s more, it is easy to attach the kit to your tripod mount. However, the Black Widow kit is only ideal for small to medium-sized DSLR cameras, so keep that in mind. A professional photographer will know only too well the frustration of ‘shaky hand’ or uneven surfaces for stabilizing a camera. Sometimes a tripod is just too much hassle, especially if you are moving around frequently in a shoot. That’s where the cam Caddie Scorpion Stabilizer comes in. This model has threaded feet that can be used for DSLR, video cameras, camcorders, and action sports cameras. It weighs approximately 20 lbs., which makes it light enough for portability. That’s quite an important factor, especially if you plan on using the shoulder support to harness your equipment as you take your shots. 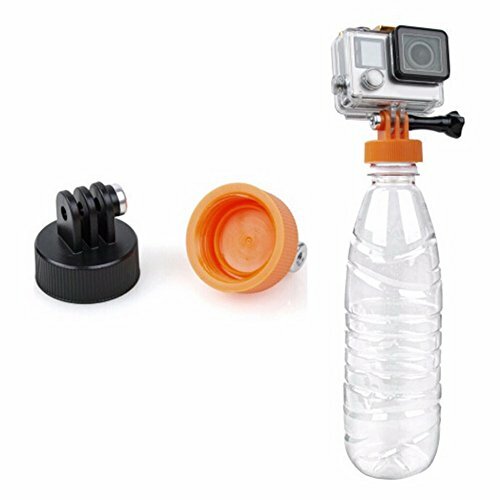 It comes with Smartphone and GoPro adapters, an accessory shoe, and four 1/4-20 threaded mounting knobs. For photos that need to be taken by finger, the stabilizer has a custom formulated tactile grip for efficient operation. 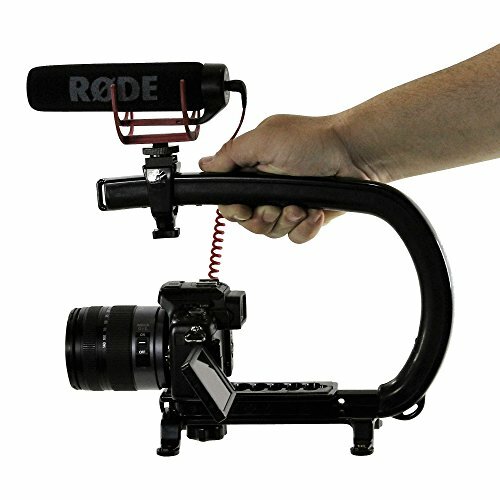 This is a great piece of kit, especially for filming flowing action, where a steady aim is needed to get the best feel of the movement. There is something special about instant photos. They are not the best resolution, they never have been. They are one size, adequate but not large. There is far better technology out there for taking photos, all these things are true. Yet, the instant photo remains close to the heart of many enthusiasts and artists. 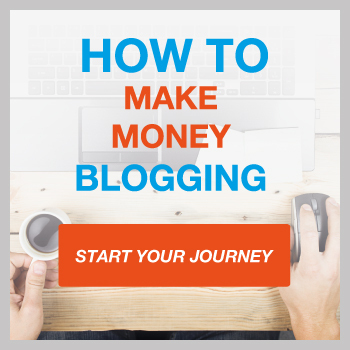 The reasons for this are wide, and to go into it in depth would take a whole other post. To keep it short, for those that are a fan of the instant photo, the Kodac Printomatic is a great investment. Bringing all the nostalgia from the old skool 80’s Polaroid, and mixing it up with some 21st Century technology. 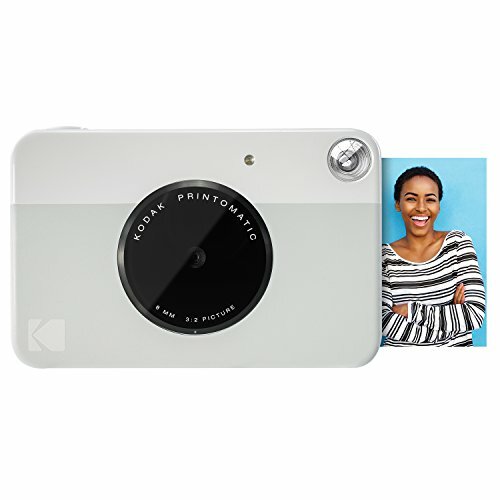 The Kodak Printomatic Instant Camera, allows you to instantly print out 2″ by 3″ photos in either color or black and white. The 10MP resolution is not ground breaking but more than adequate for creating memories. The aperture is f/2 and there are indicators for low battery, low paper, and low memory card storage. It also comes with a built-in rechargeable lithium ion battery. Have you ever had an adrenaline pumping moment, danger defying feat, or exceptionally hilarious encounter that you just wish you had caught on camera? These kinda things usually come at times where holding a camera is either not practical, or they happen out of the blue, randomly. For some things, you can plan and the use of Go Pros and similar products provide a great way for cyclists, snowboarders and others to take advantage of hands free first person imagery. But now, rather than strapping a camera to your head, you can host one in a very practical set of sun glasses. 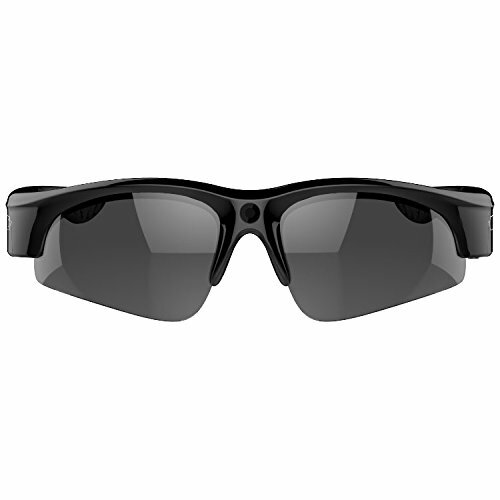 These polarized sun glasses from Gogloo, come with a 1080P HD camera. The CMOS sensor is 10MP and the wide angle is outstanding for recording sports and activities first hand. The glasses are stylish with a lightweight frame. Perfect for capturing those moments you want to keep forever. This compact 360° camera is a great gift for people who love outdoor adventures. It is small and lightweight, easy to take with you on any of your adventures. They give you the option of taking full 360° videos or 180° shots using the wide-angle lens. The camera is both dust resistant and water resistant IP68 rated. You can use this in all seasons. 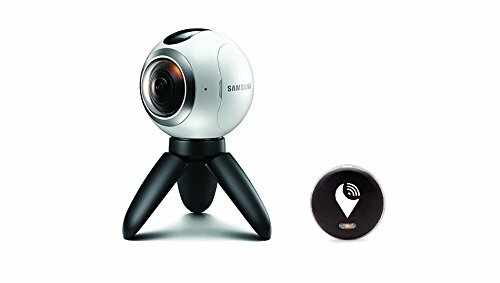 To get the most from this Samsung Gear VR Camera, you will want to have a compatible Samsung phone. This is needed if you want to keep the firmware and software up to date. 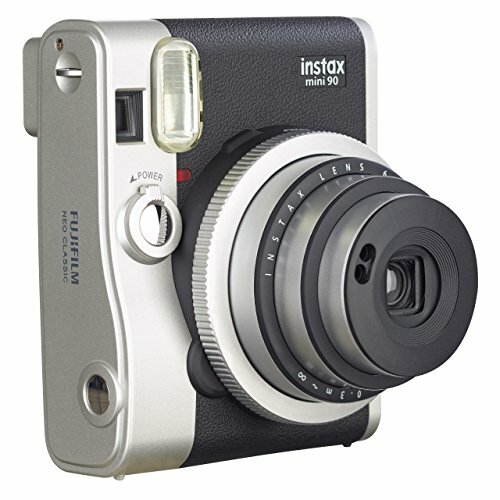 The Fujifilm Instax Mini 90 Neo Classic Instant Film Camera is the perfect camera for newcomers to the photography hobby. You can store this tiny camera in almost any location, including a purse or backpack. Photography novices who just want to take great pictures and not worry about constantly adjusting details will love that this camera automatically detects brightness. Once the camera determines the brightness, it will then automatically adjust the flash and shutter speed as well. The “Kids Mode” will activate a fast shutter speed that is perfect for capturing kids and pets who don’t want to sit still for a picture. 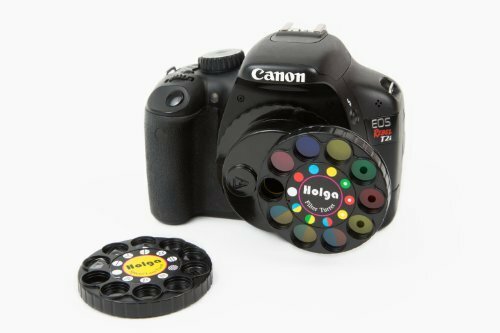 If you’re looking for a filter for your DSLR camera, you’ll find no better set of filters than the Holga Filter Wheel. 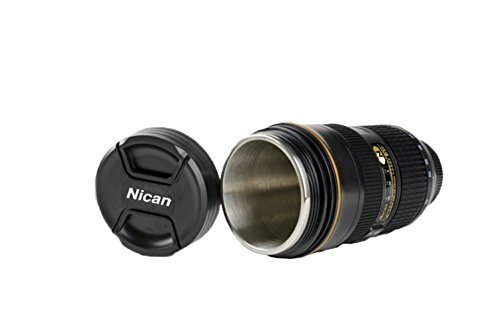 These filters mount to the front of your DSLR easily and require no extra tools for installation. The wheel has nine different color effects along with nine different prisms. Changing to a new filter is as easy as rotating the wheel using your index finger. 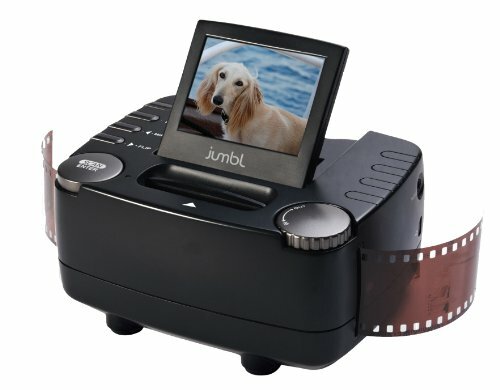 The Jumbl 5 Mega Pixel 35mm Film Slide and Negative Scanner converts your film negatives to digital images in only a few seconds. You can use both color and monochrome slides with this device and convert them to JPEG format. The full-color LCD screen lets you see the digital photo before you save it to your memory card. The device requires no additional software or even a PC to use. The MeFoto Backpacker Travel Tripod Kit is an incredibly compact, versatile and well constructed product. When in transit, the tripod legs can be tucked back 180 degrees allowing it to be stored in an incredibly compact amount of space. The materials are incredibly lightweight but at the same time very hard wearing. The additional SideKick360 Smartphone Tripod Adapter that comes with the kit, is a lightweight tripod designed explicitly for your iPhone or Android smartphone. This tripod adapter fastens securely onto your smartphone and can take shots in both landscape and portrait orientations. 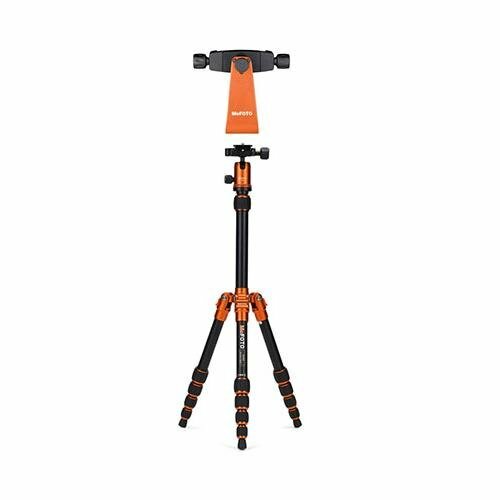 This tripod features a flat and thick base that won’t slip around no matter what surface you place it on. 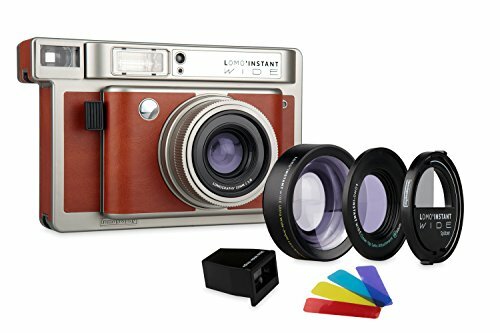 An instant film camera is a great gift for a photographer and the Lomography Combo camera is just the perfect choice. It has ultra wide, close up, and splitter lens so you can capture every moment creatively. 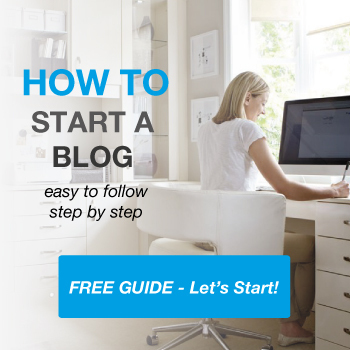 It is easy to operate; this makes it a good choice for beginners. It is also capable of completing complex functions to allow pros to have fun photographing each piece. The camera allows long and multiple exposures that are ideal for different shooting situations. What’s more, you can achieve an artistic flair by playing around with the color gels. If you or someone you know is into aerial photography, then you may well consider acquiring the X-Star Premium Drone. It features a 4K camera that provides a quality 1.2-mile HD live view. The camera also has a quick-release 3-axis gimbal stabilizer. It comes packed in a semi-hard orange and white case which is splash proof and zippered. The drone also comes with autonomous flight modes that allow you to control it through the StarLink App. The app is compatible with iOS and Android. You can use it for both indoor and outdoor shooting thanks to the GPS/GLONASS. It has an interference protection and a positioning system. 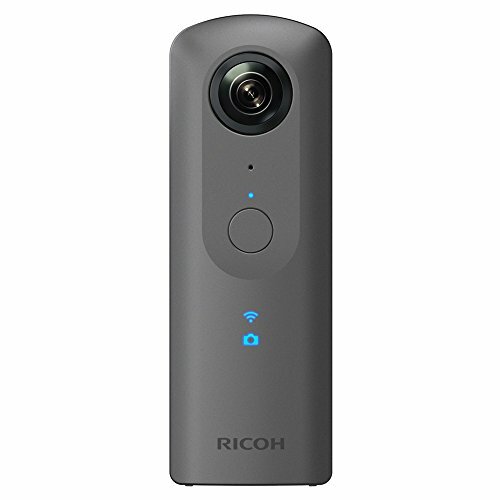 The Theta V 4K 360° spherical camera from Ricoh measures 1.78 inches W x 5.14 inches H x 0.90 inches D. It is ultra-compact for ease of storage and transport. If you take videos with this camera, the resolution will be 3840 x 1920/1920 x 960. For photos the resolution is 5370 x 2688. You can shoot each at a 360° and the file format support is H.264. The remote release is CA-3 compatible. It also comes with a micro USB and microphone jack. 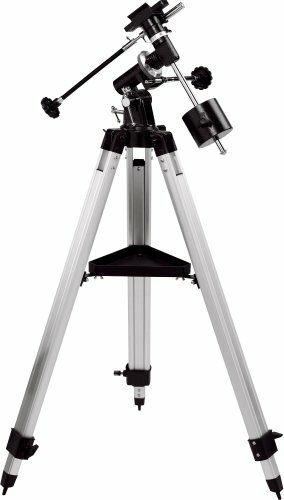 This is the right gift for any photographer looking to take amazing astrophotos. It literally has everything you need for your adventure. With it, you can take ethereal sensational photos of the cloudy Milky Way, perhaps even Andromeda or the Orion Nebula. You only need to mount your camera (that you need to get separately) to the EQ-1 equatorial mount that comes with the Orion Adventure package. The motor drive and ¼-inch-20 thread post help you track the stars to get impressive shots even with a very long exposure. All the included items are easy to use, this really does make a great addition to any astro-photographers kit. 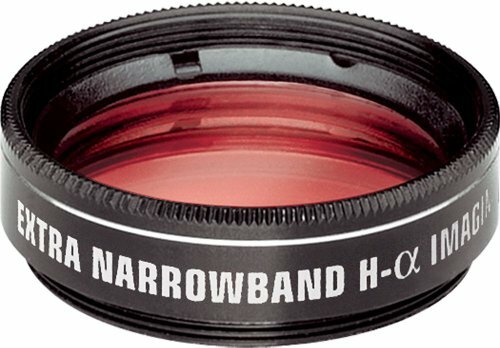 If you really want to capture the hidden glory of the night sky, then you need to have a H-Alpha Extra -Narrowband Filter in your kit. Unless you are lucky enough to live in a ‘dark sky’ area with little light pollution, then chances are you don’t even know what you are missing when you look up. Quite literally. Even if you do live in a ‘dark sky’ area, for long parts of the month the moon provides enough light pollution to spoil the night for anyone trying to capture an image outside our own solar system. Well in this respect, the Orion 5587 1.25 Inch H-Alpha Extra-Narrowband Filter is a game changer. The filter only allows through a very narrow band of light, designed specifically for capturing deep-sky nebulas. Light pollution, even from the moon, is blocked and contrast is boosted to provide remarkable deep field images. You would struggle to see these nebula with the naked eye, let alone capture them on camera without this type of lens. A must have for astrophotography. 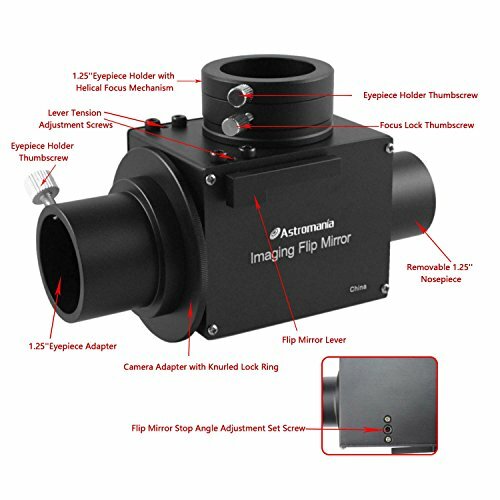 Another fine gift for any aspiring astrophotographer, comes in the form of the Astromania 1.25″ Flip Mirror. This outstanding little piece of kit, makes centering your scope and camera lens a piece of cake. It can be really frustrating trying to line everything up perfectly between the viewer, scope and camera. It often takes many takes, to get the contrast, focus and exposure right. Well this little adapter takes a lot of the pain out of the process. When set up correctly, the image that you want to capture will be directly positioned at the center of the field of view. You can use the helical focuser to bring the camera and eyepiece to a parfocal. This complemented by the precision imaging ensures that the photos taken are always sharp. These features work together to help you achieve the right focus point as well as positioning of the image. A really valuable piece of kit. Photography isn’t just a hobby adults can enjoy; there are plenty of photography-themed gifts for kids as well. These gifts are an excellent choice for introducing young children to the world of photography. From starter cameras to books that will help a child learn how to shoot a perfect picture, you’ll find an excellent photography gift for your child within this list. The LEGO 3MP Digital Camera is perfect for the LEGO fanatic who wants to take pictures of his favorite creations. The exterior of this camera looks like it was constructed entirely of LEGO bricks while the inside houses some high-quality technology. This 3MP digital camera boasts a 1.5-inch color LCD screen and even a built-in flash. The USB port lets your child connect this camera to any computer and share his or her photos on social media. 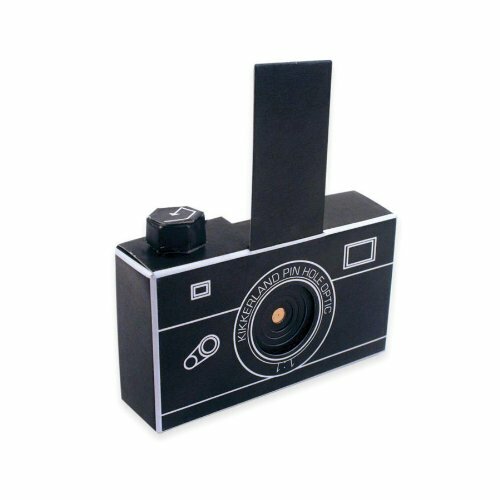 The DIY Pinhole Camera is an excellent gift for children ages 12 and up. It not only gives kids a fantastic camera but also shows how it functions by letting them build it themselves. This camera features four different picture settings including a soft focus filter. The DIY Pinhole Camera is perfect for selfies thanks to the pinhole. The clamshell design is both sturdy and durable, ensuring that this camera won’t fall apart after just a few pictures. 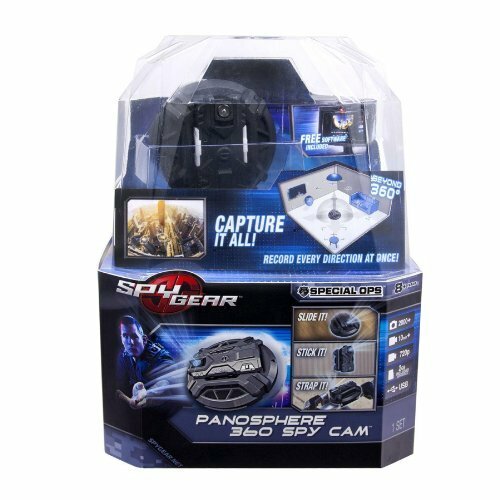 With the Spy Gear Panosphere 360-Degree Spy Cam, your kids can live out their fantasies of being a secret agent. The camera isn’t just a toy, packing in some incredible features that you would typically find on high-quality cameras for adults. This spy camera can record in 360-degree panoramic video and has enough storage space to record up to 10 minutes of video or 2,000 high-definition photos. With three attachments included in the box, your kids can position this spy camera in any number of locations, including on the ceiling or on their clothes. 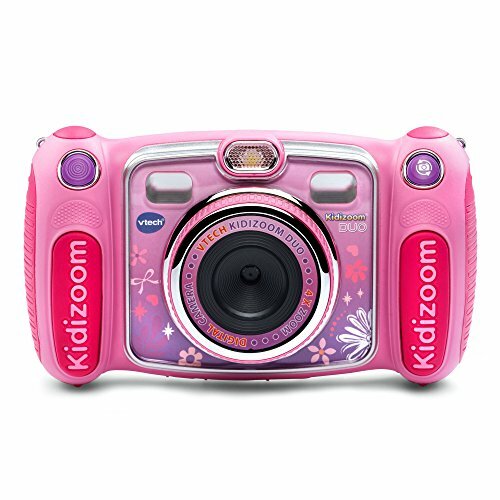 The VTech Kidizoom DUO Camera uses a combination of pink and purple colors that young girls will love. This stylish camera offers more than just looks, as it also packs an array of features under its hood. The two lenses on this camera make it a great device for capturing both large group shots and intimate selfies. The voice-recording features let your child narrate her home movies. To help preserve the batteries, the VTech Kidizoom DUO Camera automatically shuts off after its been inactive for longer than three minutes. Taking a great shot is about more than just pointing and shooting, and “The Kids’ Guide to Digital Photography” will give your children the knowledge they need to take incredible shots. 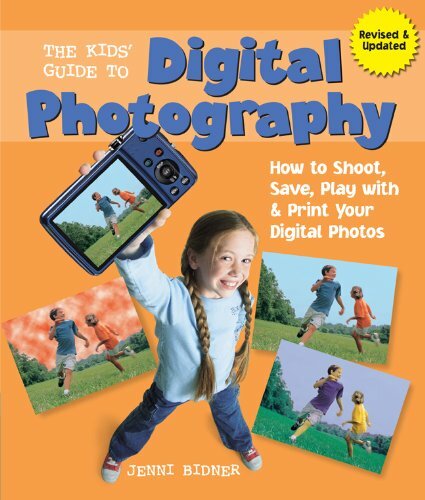 This book doesn’t just show kids how to take amazing pictures; it also gives pointers on how to edit your photos and how to properly share them with social media. 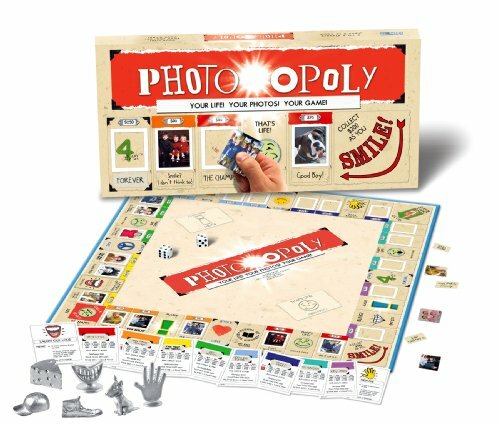 Photo-opoly is a riff on the classic game of Monopoly. Rather than populating the game board with locations from around the world, Photo-opoly fills the board with your pictures. Before play begins, you’ll customize the game board with photos from your digital camera by printing them and attaching them to the board. This level of customization ensures that every game of Photo-opoly is a fresh experience. 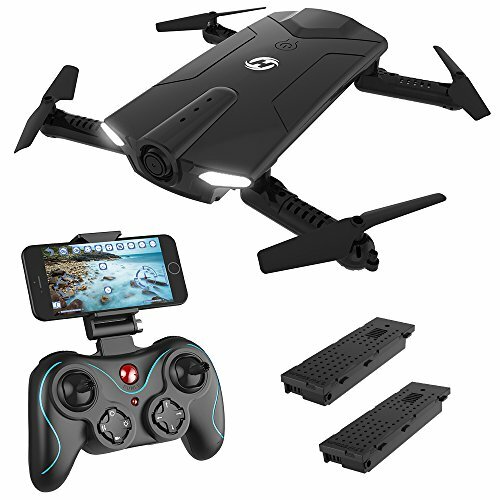 With this drone, an aspiring child photographer will appreciate the 720P HD Wi-Fi camera live video feed while at the same time the simple controls that make aerial photography easy and fun. It has a built-in 6 Axis Gyro 4CH 2.4GHz and comes with 4 speed modes that range from low to high. 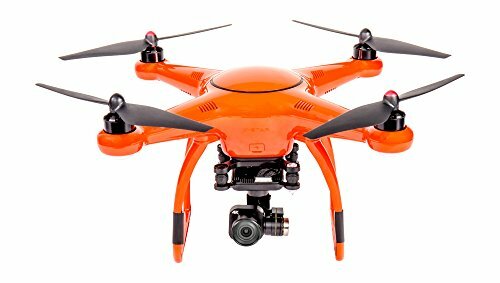 This makes the drone an ideal choice for beginners as well as kids. The Wi-Fi transmission range of this drone is about 30 meters. However, the transmitter operation range lies between 50 and 70 meters. To start the drone, you just need to press one key, it’s compact, easy to use, and a great starter model for kids looking to get into using drones and aerial photography. Great suggestions! I really appreciate the time that went into putting this post together. I love that there are serious gifts and fun ones too all related to photography. I don’t know anything about photography and was looking into getting a gift for my photographer friend. I’m sure he will love whatever off this list I end up getting. Thank you!